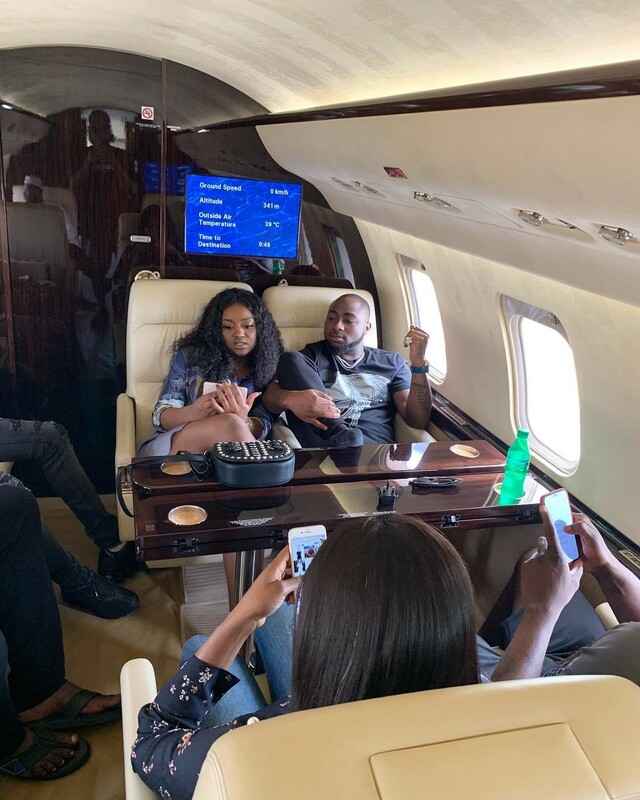 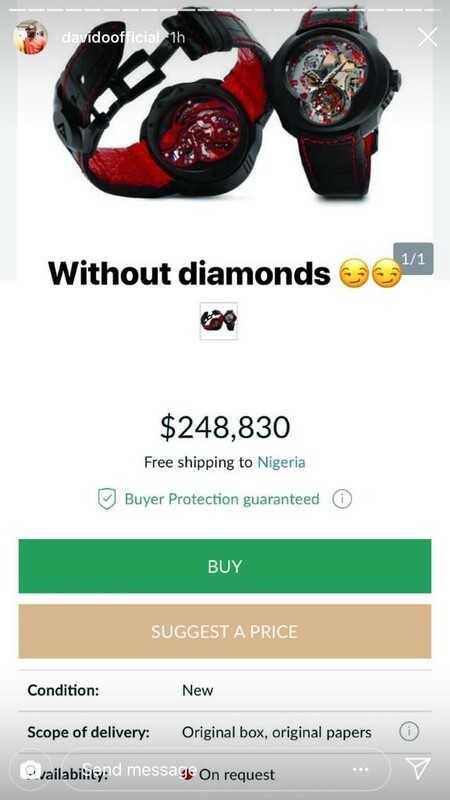 Davido is out to tension Nigerians on social media yet again. 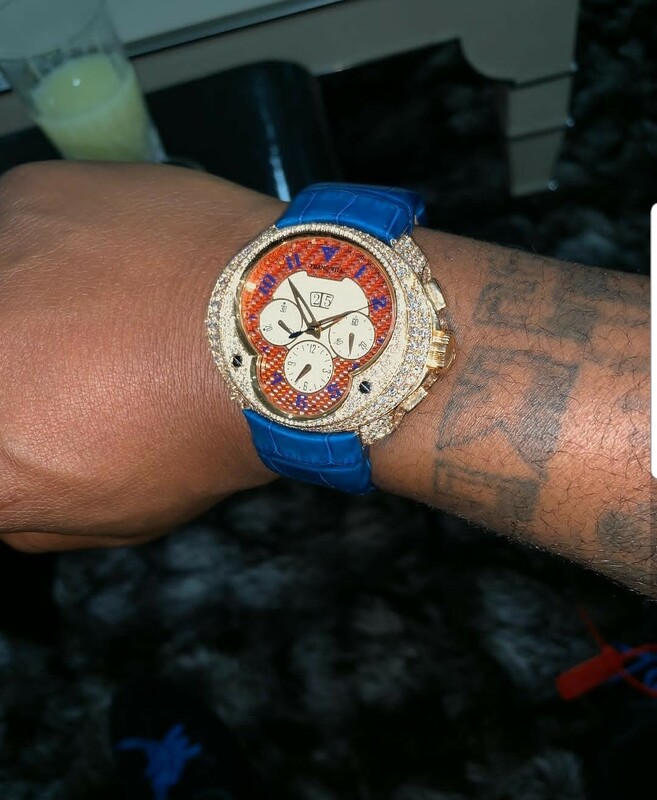 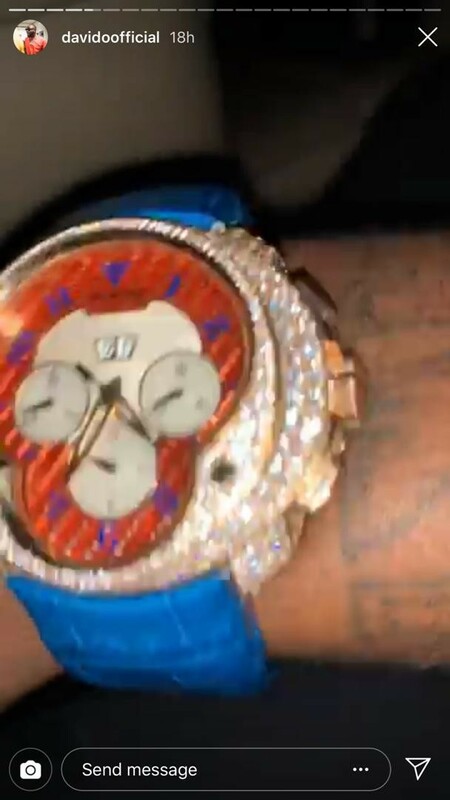 The flamboyant singer took to his Instagram page to show off a diamond encrusted Franc Vila wristwatch. 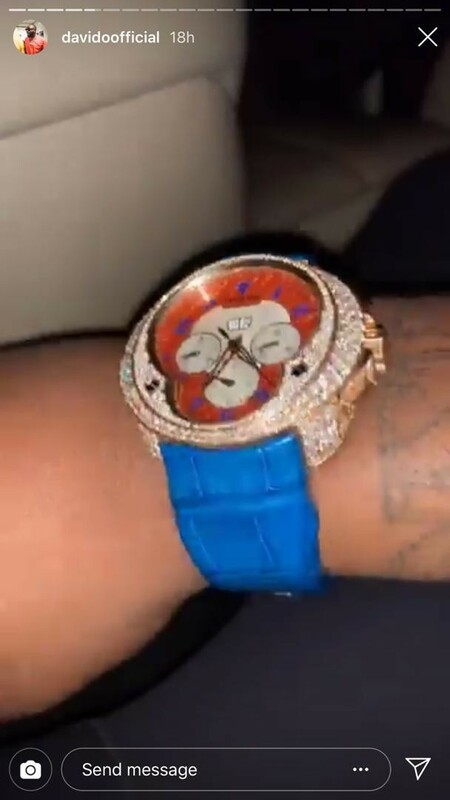 He later shared a photo of a similar wrist watch but without diamonds which costs $248,000.